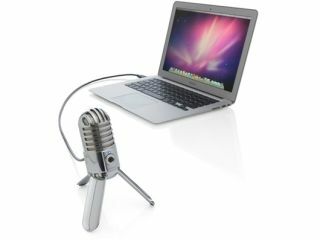 A Samson Meteor mic tries to run away from a MacBook Air. Samson has been doing the USB mic thing for as long as anyone, and its latest model is a flashy looking device known as the Meteor. The Meteor will be available on 15 April 2010, though we don't yet know at what price.